Chronic disease is largely misunderstood by the medical community and the public at large, but that doesn’t mean it has to remain a mystery. While there is a growing movement of promoting mysticism around the area of healing and disease, these chronic diseases can readily be approached from a commonsense, scientific angle. Every event that occurs in the universe has both a cause and an effect—and chronic disease is no exception. If you are suffering from Lyme disease, fibromyalgia, or any other chronic illness, the first step to recovering is to understand how stealth microbes work, and how they can bypass your immune system to cause disease. 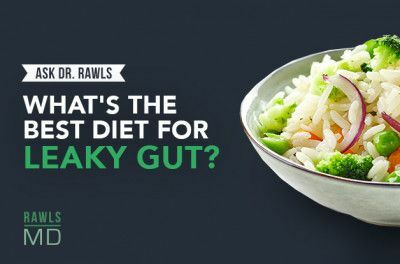 The second step is learning how to strengthen your natural defenses and suppress the microbes hidden in your body. In this article, I will walk you through how to achieve both of these objectives. What is a Stealth Microbe? 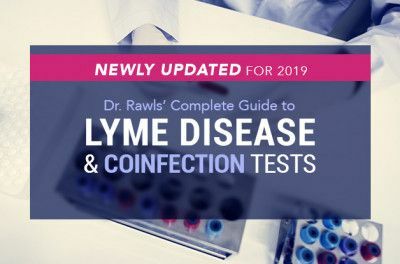 Stealth microbes are pathogens (disease-causing microbes) that are often behind commonly misdiagnosed conditions like Lyme disease, fibromyalgia, and chronic fatigue syndrome (CFS). The term “stealth” reflects their elusive nature; these microbes have sophisticated mechanisms to hide inside cells where they remain shielded from the body’s defense system. In a healthy host, there may be no visible symptoms of their presence; stealth microbes can lie dormant for years, waiting for a weakening in the immune system. For most people, when they hear “microbial infection”, they think of an acute, isolated event such as the common cold or flu, a skin infection, or even pneumonia. However, the reality is that our body is constantly defending itself against foreign microbes and working diligently to keep harmful pathogens at bay. As it turns out, microbes play a much wider role in chronic disease processes than is currently recognized by conventional medicine. How Do You Get a Microbial Infection? Microbes are everywhere. Dust particles and water droplets that we breathe contain microbes. Foods that we eat and liquids that we drink contain lots of different kinds of microbes. Every surface that we touch is covered in microbes. Any break in the skin (even a minor one) is an opportunity for microbes to invade. And then, of course, you can get infected through insect bites. What most people don’t know is that all insect bites transfer potentially harmful microbes—not just certain types of ticks or mosquitos. Intimate contact with another person is also an invitation for new microbes to transfer (and not just those classified as STDs). Needless to say, your immune system is constantly working to minimize microbial threats. For most people, typical exposure consists of low-virulence microbes, which have a lower potential to cause disease. These pathogens use stealth as a strategy to blend in with all the other microbes in the body. They fly under the radar, staying just one step ahead of the immune system. Because it takes the same amount of energy for the immune system to mount a response to a microbial threat (regardless of whether it is high or low virulence), the immune system suppresses low-virulence microbes and save a full response for greater threats. It takes the same amount of effort for the immune system to mount a full-scale response to a microbial threat—regardless of whether it is high or low virulence. Because stealth microbes typically have a lower potential to cause disease, the immune system simply suppresses them, instead of mobilizing a full-scale effort to eradicate them. In the big picture, it makes sense that the immune system would suppress the low virulence threats that occur continuously and save a full-scale response for greater threats. If the immune system is doing its job, these low-virulence threats should never cause a problem. The pathogenic microbes we pick up live in tandem with the normal flora (friendly bacteria) that reside within our bodies. This mix of pathogens and normal flora is collectively referred to as the microbiome, and is as unique to each individual as your genetic makeup. The microbiome is constantly evolving throughout our lives from the day we are born; there are 100 trillion microbes of over 500 different species (and counting) that can comprise the human microbiome. Many of these microbes are stealth pathogens that have been collected along the way. Most all of them have at least some potential to cause disease (there really is no such thing as a “friendly” microbe). Death is the best evidence of this. When someone dies, the body immediately begins decomposing. Decomposition is not being caused by microbes from the outside environment, but instead is actually being done by the microbes of the microbiome, which are no longer contained by an active immune system. The immune system has a big job. It’s like being the officer in charge of a crew of misfits and ruffians on a sailing ship of days gone by; let your guard down for one moment and you will be overrun. When immune function falters for any reason, stealth pathogens are able to flourish—not one microbe, but all of them at once (with some having higher potential to cause illness than others). Symptoms occur because the immune system can no longer keep a lid on things. You can think of it in terms of a pot boiling over on the stove with some liquid spilling over the sides (not as an explosion that blows the lid off in one direction). The symptoms are nonspecific (fatigue, muscle pain, brain fog, nerve symptoms, stress intolerance, poor sleep, joint pain, flu-like feeling), and systemic (occur throughout the body). Not surprisingly, many chronic illnesses, including Lyme disease, fibromyalgia, chronic fatigue, and autoimmune diseases all share these same symptoms. Instead of being entirely separate illnesses, they are actually just different variations of the pot boiling over. As immune function continues to deteriorate, symptoms become more pronounced. Ultimately, a specific diagnosis, such as Parkinson’s, ALS, MS, rheumatoid arthritis or some other similar disease, begins to emerge. Which diagnosis emerges is dependent on the person’s particular microbiome mix and genetic makeup. No matter the diagnosis, however, the underlying problem is immune dysfunction. The modern world is saturated with factors that contribute to immune dysfunction, most of which were not present before a hundred years ago. • Processed grain-based diet contributes to imbalances in gut flora, hormone systems of the body, immune function, and digestive function. • Over 200,000 different manmade toxins have been released into the environment; all of them have the potential to be disruptive. • Chronic stress (caused by the demands of modern life) life disrupts all systems of the body. • New types of physical stress such as prolonged inactivity are endemic to modern life. • Artificial energy sources (radiation) that may disrupt the energy flow of the body. The effects are cumulative. It all adds up until the pot starts simmering and then finally boils over. Different diseases can occur because every person’s exposure to disruptive factors, microbiome makeup, and genetic code is different. If the pot is already simmering, an acute infection with a stealth microbe can cause it to boil over. Lyme disease is a great example of the boiling pot analogy. Borrelia, the bacteria commonly associated with Lyme disease, is a stealth microbe of low virulence. An acute borrelia infection from a tick bite is associated with a nonspecific flu-like syndrome (not unlike acute infection with so many other low virulence viruses, bacteria, and protozoa). People with optimal immune function often do not even have symptoms. If immune function is not up to par, however, borrelia can join the microbial mix of the body as a chronic low grade infection. This added insult sets off a cascade of immune dysfunction which leads to chronic nonspecific symptoms. By then it’s not just an infection with one microbe, but a disruption of the entire microbiome allowing other potential pathogens to flourish. Unsurprisingly, there are many other stealth microbes that can initiate this scenario. Common stealth microbes that have links to chronic disease processes include mycoplasma, bartonella, Epstein-Barr virus (EBV), chlamydia, CMV, parvovirus B19, just to name a few. The diseases that these microbes have been associated with include fibromyalgia, chronic fatigue, rheumatoid arthritis, Parkinson’s, Alzheimer’s, MS, ALS—with the list is growing every day. All of these microbes have been infecting humans for a very long time, but never before have they had such optimal conditions to flourish. What seems like an epidemic of Lyme disease or some other chronic illness is, more than anything else, a widespread epidemic of immune dysfunction. If you start thinking of chronic disease in terms of immune dysfunction and a pot of misbehaving microbes boiling over, the conventional approach of targeting and destroying a specific threat seems limited at best. It has value primarily for identifying and treating an acute infection with a stealth microbe. If you catch it early enough, sometimes the cascade of immune dysfunction that leads to chronic illness can be averted. Once that microbe becomes established as part of the microbiome, however, separating it out from the other 500 species present in the body is often an exercise in futility. So, is there an effective way to overcome stealth microbes? The “identify, target, and destroy” approach is limited when it comes to treating these types of chronic disease. When you target one stealth microbe with antibiotic therapy, you inadvertently target the entire microbiome. Disruption of the microbiome further compromises immune function. Similarly, using drug therapy to target specific areas of the immune system (primarily for symptom reduction) compromises the ability of the immune system to suppress microbes. The best therapy for overcoming chronic illness associated with microbiome imbalance is to restore normal immune function. This is done by undoing the factors that caused immune dysfunction in the first place. Factors like toxins, radiation exposure, poor diet (certain foods are fodder for pathogenic microbes), and stress all contribute to weakened immune function. In addition to minimizing these factors, supplementing with medicinal herbs is a critical component of suppressing microbes and protecting normal flora. Herbs have evolved over time to have a broad spectrum of antioxidants and antimicrobials to protect themselves against the elements. When paired with other herbs, they work together to provide synergistic benefit and gradual suppression of stealth microbes. 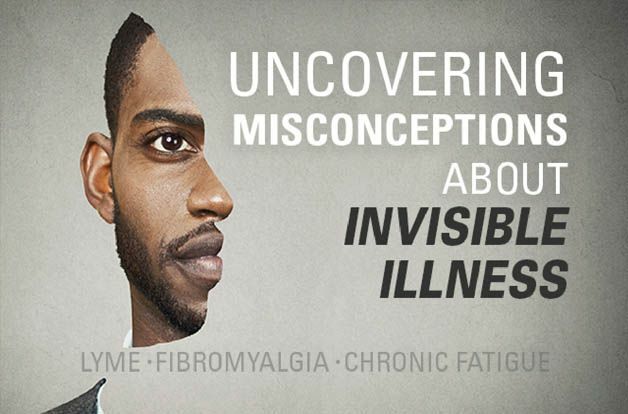 There are different components to solving the invisible illness puzzle, but it can be done. Recovering from chronic disease will require dedication and commitment, but the good news is there are proven steps that can help you. 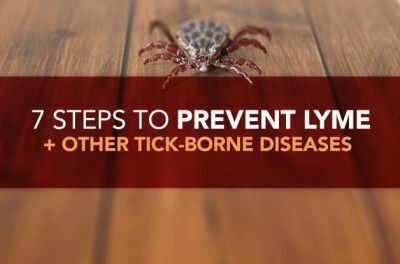 To learn more about practical tips and next steps, check out my book, Unlocking Lyme. This manual includes a discussion of the top herbal extracts for various symptoms, tips for managing stress and normalizing sleep, and which healing foods will boost your recovery. 1. Edlow JA. Bull’s eye. Unraveling the medical mystery of Lyme disease. New Haven (CT): Yale University Press; 2003. 2. Kuhn T. In: The Structure of Scientific Revolutions, 3rd edn. Chicago, IL: The University of Chicago Press, 1996: 212. 3. Ewald P. In: Plague Time: How Stealth Infections Cause Cancers, Heart Disease, and Other Deadly Ailments. New York, NY: The Free Press, 2000: 282. 4. Rawlings J. A., Fournier P. V., Teltow G. J. Isolation of Borrelia spirochetes from patients in Texas. J Clin Microbiol 1987; 25(7): 1148–1150. 5. Nau R, Christen HJ, Eiffert H. Lyme disease–current state of knowledge. Dtsch Arztebl Int 2009;106:72–81, I. 6. Texas zoonosis diseases. Internet web site ed: Texas department of Health, Zoonosis Control Division, 2000. [Cited 2001 Oct 15]. Available from URL: http://www.tdh.state.tx.us/phpep/dpn/issues/dpn59n10.pdf.